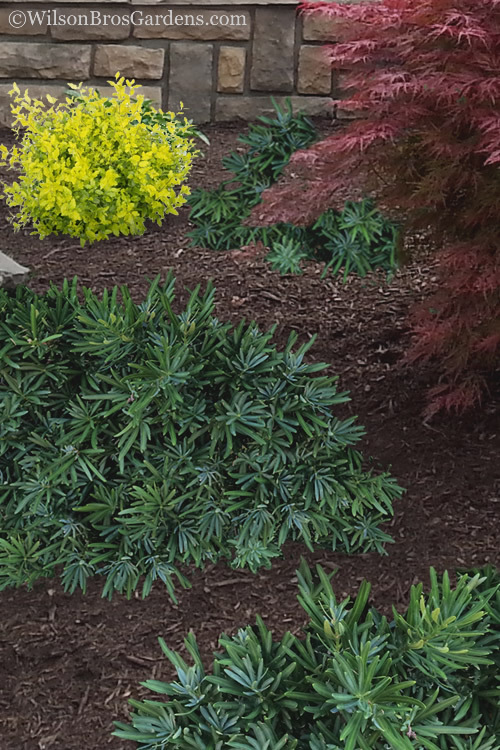 With its handsome dark blue-green needle-like leaves, adaptability to sun or shade, and its dense and cushion form, the Pringles Dwarf Podocarpus is a fantastic and tough little evergreen shrub that provides a unique and outstanding texture in home foundation plantings and landscape borders. Get all the details below! 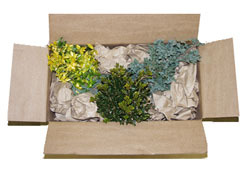 Note: For our customers who live and garden north of USDA Plant Hardiness Zone 7a, where this Podocarpus variety is not reliably winter hardy, you'll be happy to know it can be grown in containers which can be brought indoors during winter and placed back outside when temperatures warm up in spring. 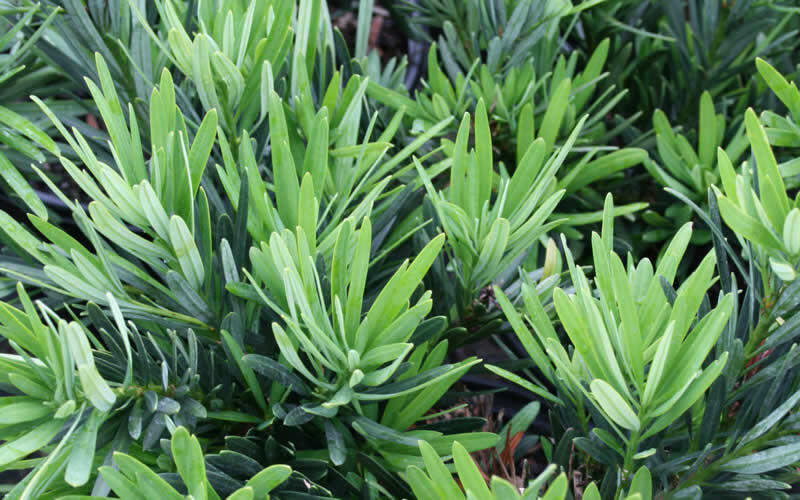 With its handsome dark blue-green needle-like leaves, adaptability to sun or shade, and its dense and cushion form, the Pringles Dwarf Podocarpus is a fantastic and tough little evergreen shrub that provides a unique and outstanding texture in home foundation plantings and landscape borders. The foliage is deeper green in shade and a medium green in full sun. 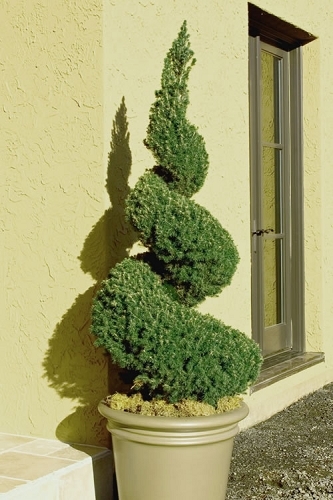 Unlike its much taller growing Podocarpus cousins, Pringles Dwarf grows in a low mound to about 3 to 4 feet with a similar spread, however can be easily maintained at half that size with minimal pruning. 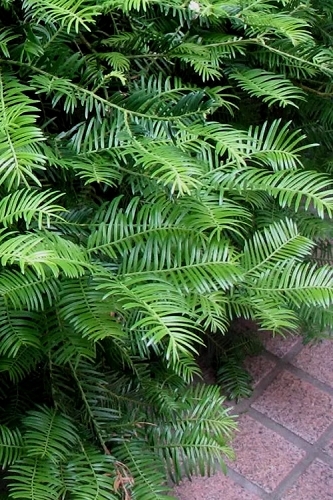 Growing in a dense mound 2 to 4 feet tall (depending on pruning) and 3 to 4 feet wide, Pringles Dwarf Yew is ideal for use where low growing natural to formal evergreen plants or hedges are needed in home foundation plantings and landscape borders. Also effective for mass planting on embankments, hillsides and slopes where its roots act as a soil stabilizer for erosion control. Especially nice around boulders. 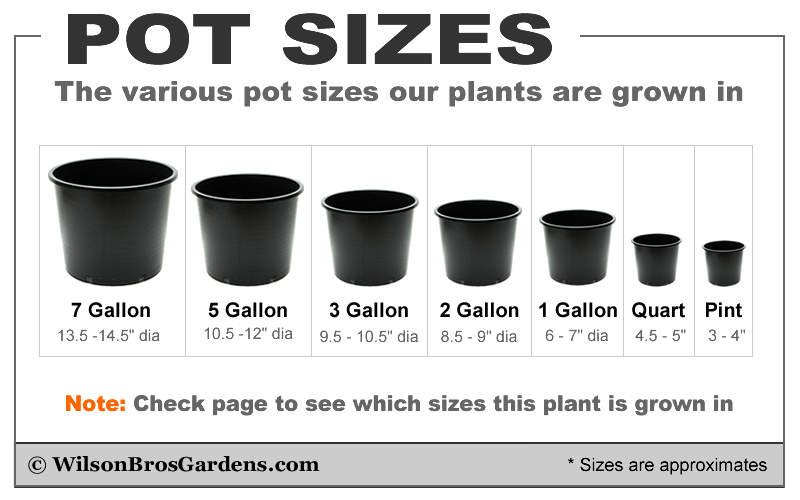 Its smaller size lends well for use in pots, planters and other containers. A fine addition to rock gardens, Asian theme gardens and formal gardens. Pringles Dwarf Podocarpus grows best in a moist but well-drained soil of average to high fertility and full sun or shade - it doesn't care! 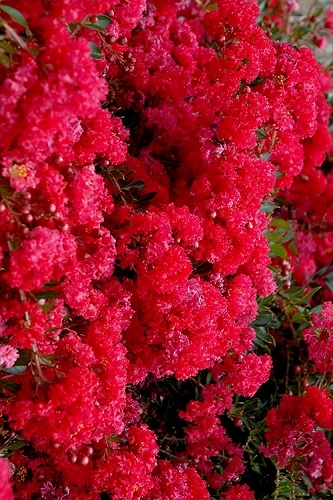 Drought tolerant when established. 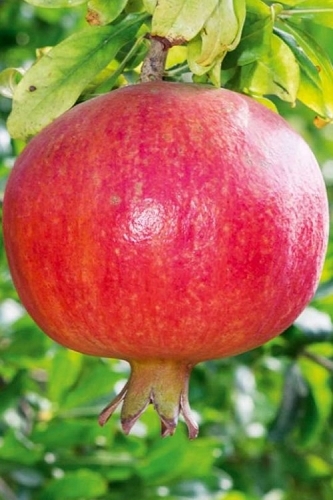 No pruning necessary however responds well to pruning for shaping or size control. 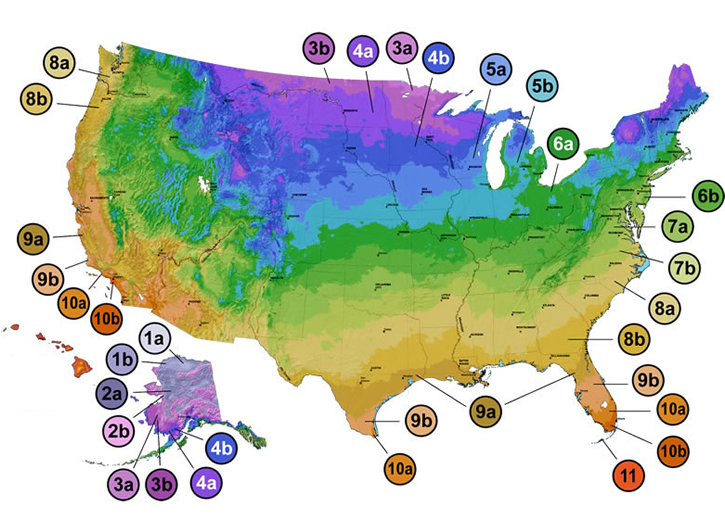 Cease pruning two months prior to the first frost date in your area. 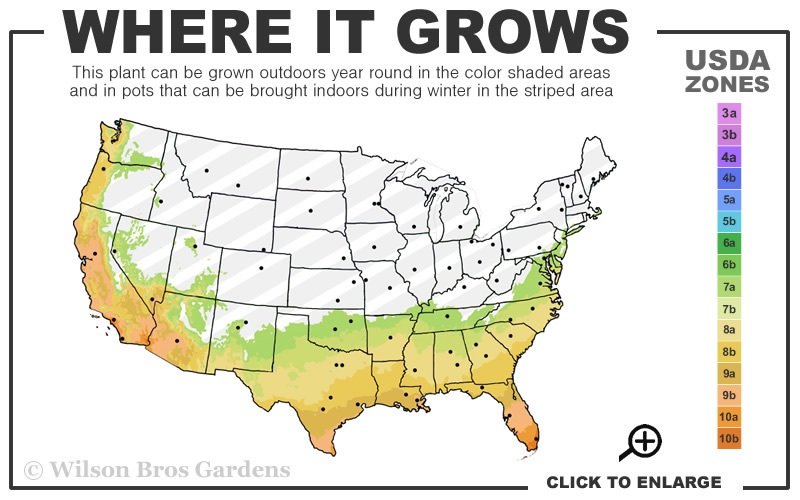 If you get no frost, don't worry about it - prune any time of year. 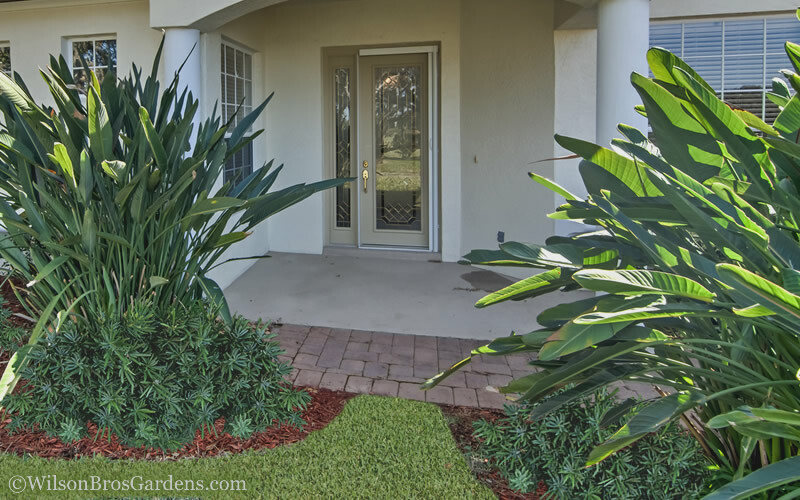 Click on a link below to find helpful advice from our experts regarding how to plant, prune, fertilize and water Podocarpus plants. Sun Needs: Sun or Shade! Q: How tall right now are the Pringles Dwarf Podocarpus in the 3 gallon pots? I believe this variety will grow to 3-5 feet tall and equally as wide, is that correct? Thank you. 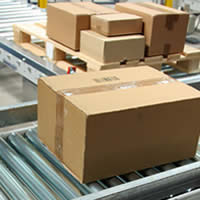 The Pringles in 3 gallon pots are 16 to 20 inches tall and 8-12 inches wide. Yes, that is correct, they mature at about 3-5 feet tall and 3-5 feet wide after a few years. They will grow a little bigger after that as all plants continue to grow some during their lifetime. 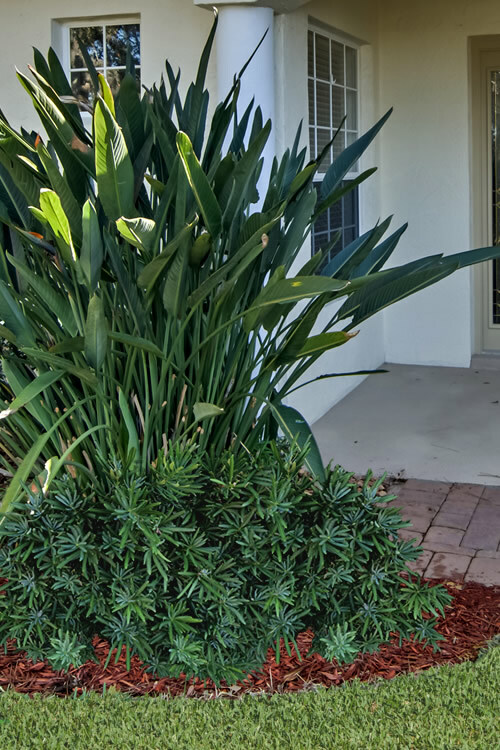 Click on the link below to find helpful advice from our experts regarding how to plant, prune, fertilize and water Podocarpus plants.